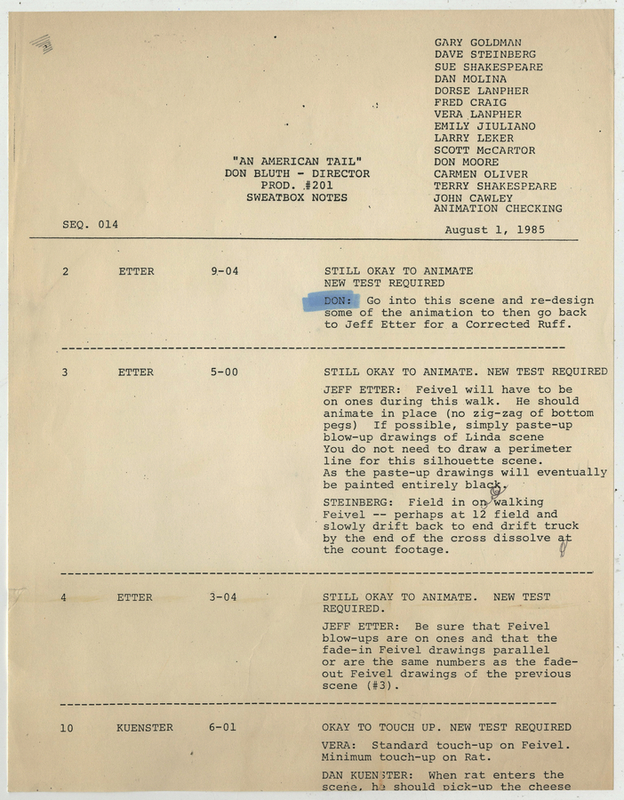 This is a gigantic original pan watercolor production background paired with a matching production cel from the 1986 Don Bluth Productions feature, An American Tail. 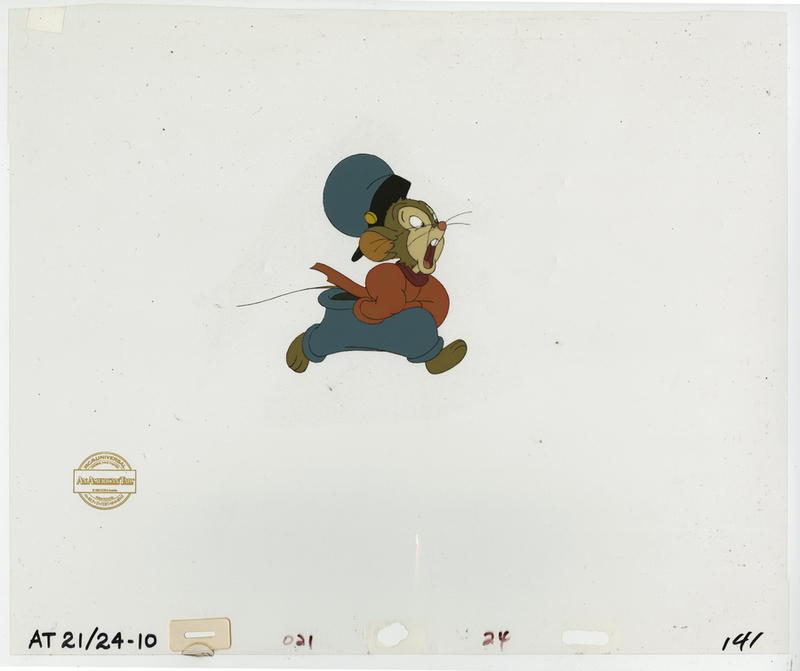 The untrimmed animation background measures 13.5" x 186", over fifteen feet long. 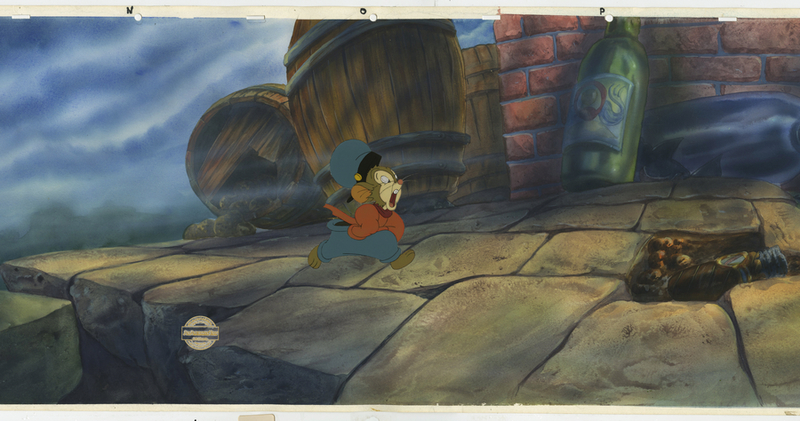 The untrimmed cel measures 12.5" x 16" and features Fievel Mousekewitz running throug the streets of New York. The set-up is in great condition overall, with some creasing and edge wear. The background will ship loosely rolled, due to the large dimensions, the cel will be packaged seperately, flat.